Stop. Wait. Before you open the first page of this book, I'm going to make a very important recommendation. Go get a pen, go get some paper. You're going to want to make some notes as you go through this book - because wow, does it have a wealth of useful information. Without a doubt, Denise Weldon-Siviy knows her stuff, and in the case of this book, that is all about opening the doorway to libraries for authors in the self-publishing world. To start with, Weldon-Siviy sets the scene by discussing the nature of the self-publishing world. A lot of this authors will already know, but it sets a good baseline for the rest of the book, which looks in detail at the requirements for self-publishers to get their work placed into libraries. This isn't a step-by-step guide for you to follow in order to get from A to B, it's not as simple as that. Rather, it enlightens you to the whole process and the essential steps to take in order to be considered. There is generally useful information too - such as how to approach some of the review locations that libraries pay attention to. This is an incredibly thorough book that will reward re-reading. And, like I say, take notes, you're certain to find them useful. Now I'm off to set about getting on the library shelves! 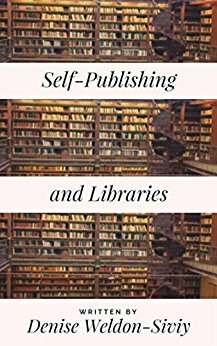 Self-Publishing and Libraries is available on Amazon. Emily Craven is a passionate advocate of writing and self-publishing - and of learning the craft of a writer. This book is a close look at the process she went through in writing a fantasy novel under the mentorship of Isobelle Carmody, and it's both insightful and surprisingly personal. There are a lot of vague rules discussed in the world of writing - how you should show not tell, how you shouldn't overwrite, how you should pay attention to what characters can perceive rather than have them describe things they can't see. This takes that process and applies it to Emily's Priori novel, and seeing how those steps are applied is a great way for writers who might struggle with the general concepts to understand them in practice. It is of course especially useful for those wanting to write fantasy, discussing such issues as the importance of worldbuilding and how to reveal that, and how to approach issues of naming characters and locations. It is perhaps at times a little too specific in relation to Craven's own work - but then it's a great companion volume to a more general work. Don't think of this as the first book you pick up about writing so much as the one you pick up afterwards to try to put flesh on the bones of the concepts whirling around your head. You can also follow the work on the Priori Podcast site, which turned the novel into an audio performance with a cast of actors, which might be a handy site to visit as you read the book and see how the final work turned out after all that polishing. 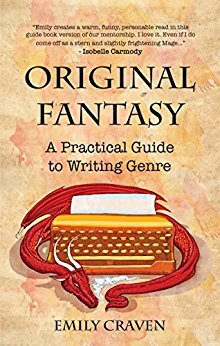 Original Fantasy is available on Amazon. 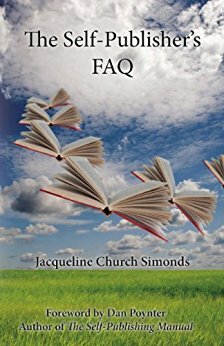 This book does exactly what it says - offering a lengthy list of frequently asked questions for those entering the self-publishing game. It's pretty darn brilliant - it's hard to think of a question that isn't covered here in some way, though admittedly the book is a couple of years old and a couple of things in the market have changed since then. That's no fault of the book, the market moves pretty fast, and the vast majority of the information here is still completely on the mark. The Q&A format is better suited to looking up as specific questions come to you rather than as a regular read-through. The quantity of useful info is so large that it can almost be overwhelming on a single read, but break it down into chunks, and take notes as you go and it's incredibly helpful. This is the sort of book that might be better in paperback form, so you can break out the highlighter and post it notes for markers. I've been in self-publishing for a couple of years now and I wish I'd read this before I started - it would certainly have smoothed the path and help me avoid some of the mistakes along the way. The Self-Publishers FAQ is available on Amazon. Joanna Penn is one of the big names in self-publishing, and for good reason. I've reviewed one of her fiction books before - a few years ago now - but I've been a regular follower of her website, which is ceaselessly helpful in regards to advice for writers. 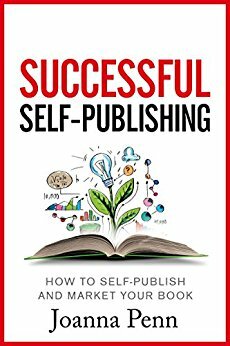 This book gives a great overview of the process of publishing and marketing your book. This isn't about writing the book, it picks up after the point at which you've written The End and your editor has carefully ticked off every element within. In some ways, it's a lighter read than some other books on the subject, not being quite so stuffed with details as others. That said, the book itself is only a starting point, with lots of helpful links to outside websites for more information. Think of the book as the tip of the self-publishing iceberg, and the gateway to a host of websites recommended by one of the foremost experts in the field. On its own, it's a little lighter than I hoped - but if you make the effort to go beyond the pages to the linked websites, you'll find it well worth an extra star. Successful Self-Publishing is available on Amazon. A good post!Very true that writers who want to step into the world of publishing need these kind of books which guides them towards a great journey. A nice set of books that you have recommended! Thank you so much for the post and the list of books you have mentioned.